For the final day under Condiments for BM#56, Buffet on Table, I have an aromatic Garam Masala from our neighboring country, Pakistan. This was one of the smartest moves I must have made for this BM. I just about went on clicking pictures of everything I cooked and while in the process it struck me that I could use this for condiments. That saved me one days work. Garam Masala as it goes, has so many different blends and everything is claimed to be the authentic. 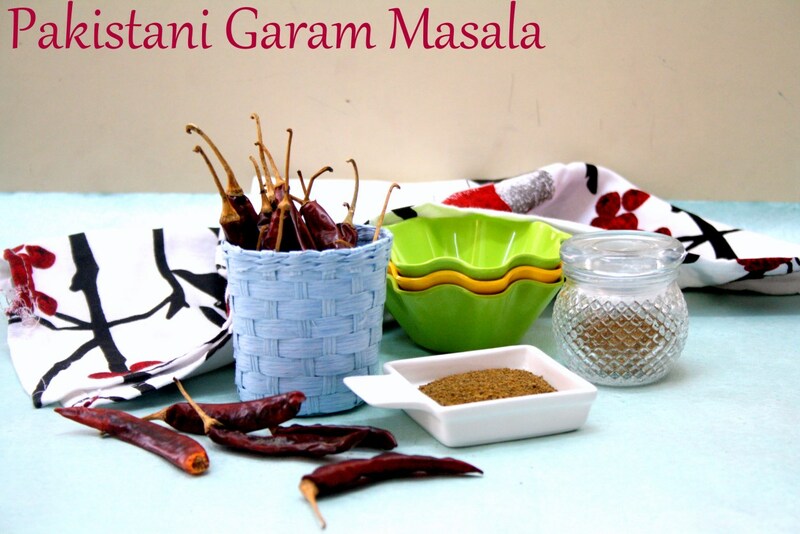 We make the simplest Garam Masala at home, that I use for my regular day to day cooking. While the store bought garam masala is used for chhole etc. 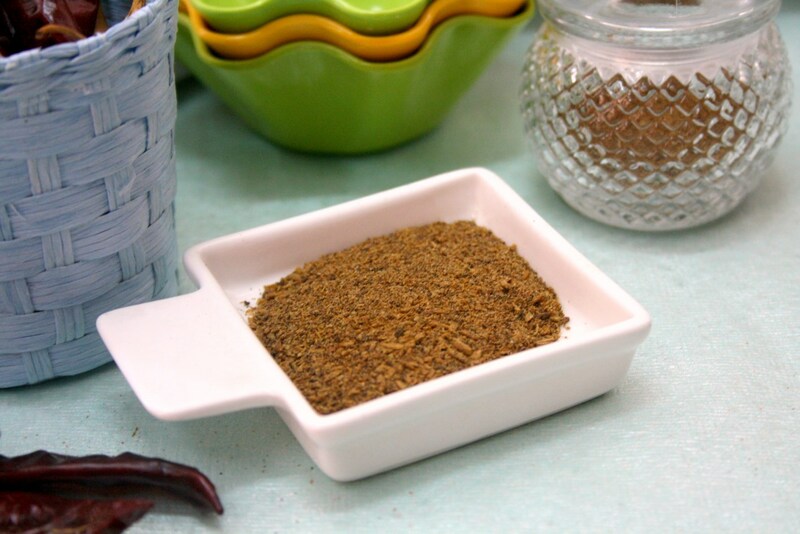 Then there is always some new garam masala that gets ground and I keep using it for a while. I guess this must be same for so many of you. Anyway to cut the story short, I make sure I record it for my own use later. There have been so many instance when I forget something and I check my sites for clarification. So this is as good as that! 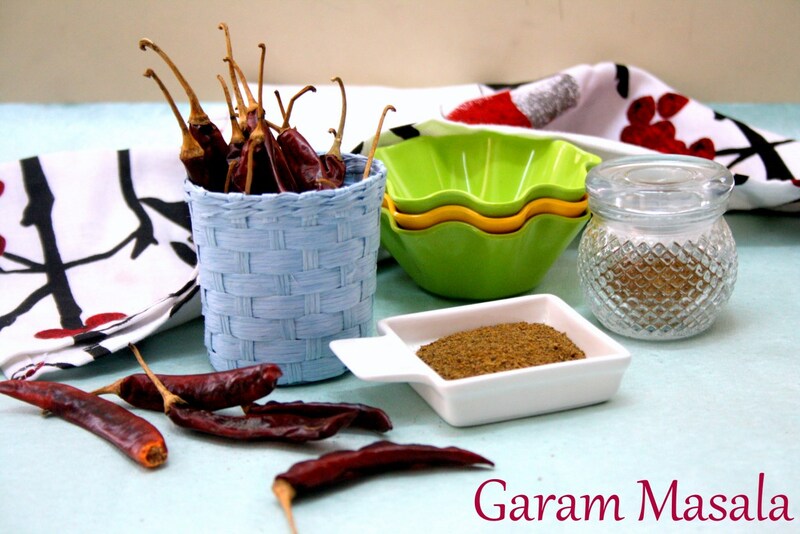 What I prepared with this Garam masala will be shortly shared, so until then enjoy these clicks and the Garam Masala! I adapted my masala from here. Cumin Seeds / Sufaid Zeera – 4 tbsp. Whole Black Peppers / Saabut Kaali Mirch 1 tbsp. Cloves / Loung 1 tsp. Roast all the ingredients. Grind to a smooth powder once it is cooled down. Store in an air tight container for longer shelf life. So many versions of garam masala this one is interesting Valli no coriander seeds and cinnamon!!! usually we use coriander seeds and cinnamon right.Wanted to try this once…. Love to know yet another version of garam masala.Very nice recipes throughout the series . Wow, this garam masala sounds prefect for me to give a try, interesting pick again. I use store bought garam masala for choley and grilled food.. 🙂 And I too refer to my blog very often for clarification on some of the recipes. 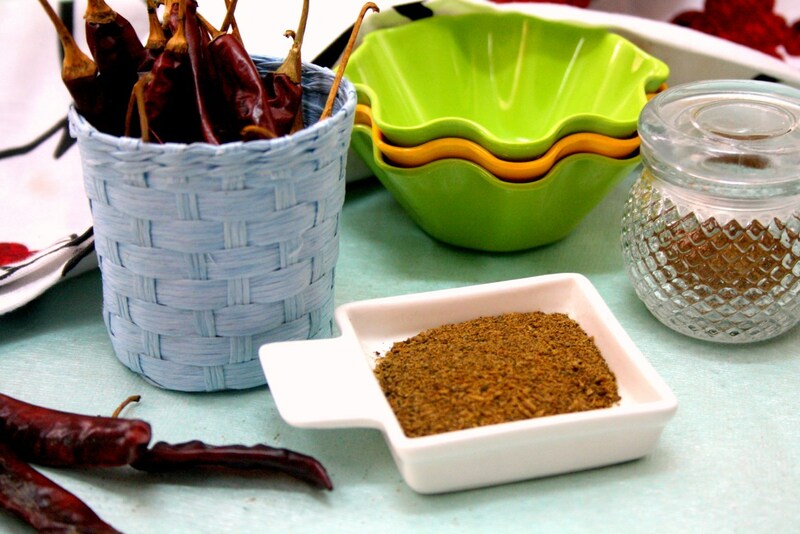 This garam masala has very few ingredients and nice styling, specially the first picture. Flavorful masala..Interesting to know about different type of garam masala.. So many variations of garam masala na.. great. 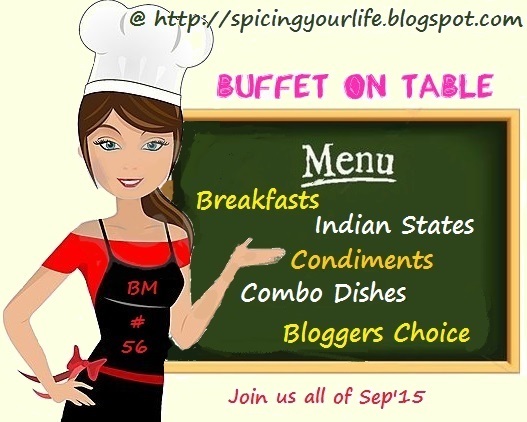 Loved your clicks and love the idea chili stand. OMG! so many flavorful spice powders. My bookmarks are just overflowing. 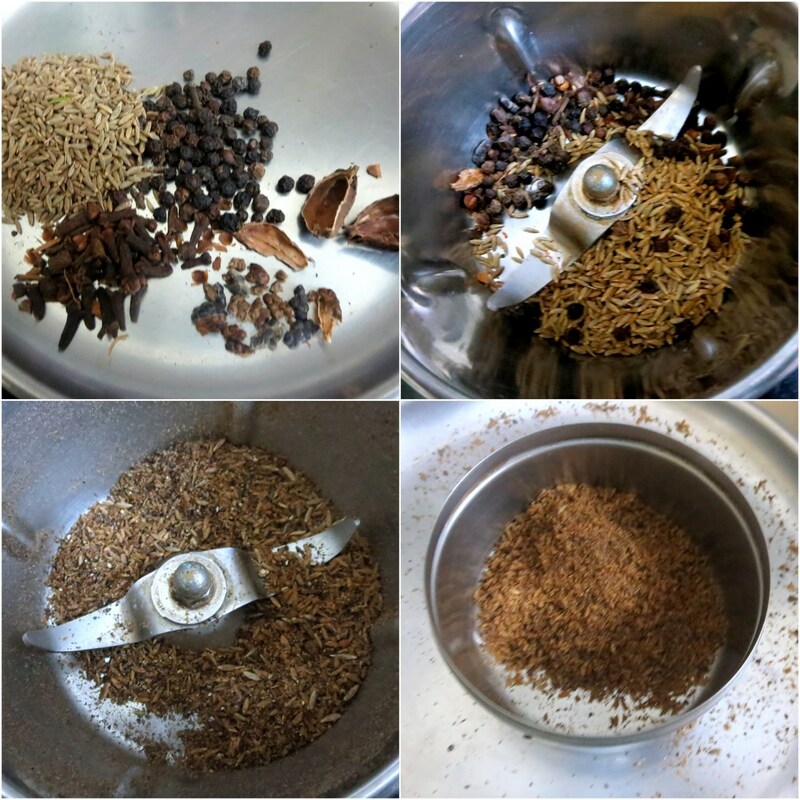 Such a simple to make 4 ingredient garam masala. Sounds flavorful nonetheless. With so many variations around, I did not expect the minimalist version from our neighbor. Nevertheless it sounds flavorful. An aromatic blend of spices so flavorful. This is one flavourful masala.I too keep referring to my notes for recipes. Eggless Chocolate Cheesecake with Chocolate Glaze | A Tale of a Drenched Cheesecake!